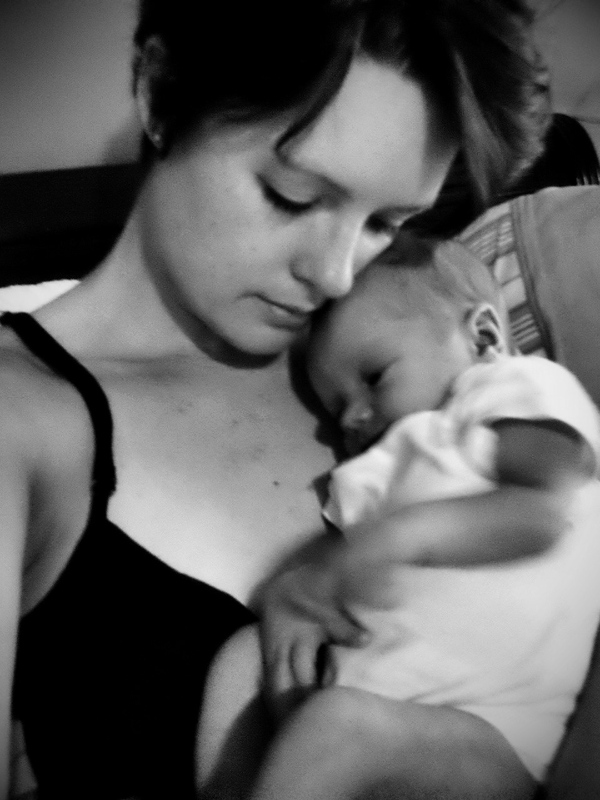 I’ve debated back and forth about whether or not to write this blog and share my labor story. It’s a long one, and it’s not pretty. But because a few other women’s blogs detailing similar stories have so helped and encouraged me – and because, in a way, sharing is therapeutic – I’ve decided to go with it. So how do you begin to recount the events of one day that will remain both the best and worst day of your life? At the beginning, I suppose. At 7:30am on May 6, 2011, Paul and I arrived at Vanderbilt University Hospital’s Labor & Delivery ward for my scheduled induction. Originally, I was scheduled for induction Wednesday the 4th, but because an ultrasound and non-stress-test showed Elijah was in good health, we were able to delay two extra days. Studies show that the majority of first-time mothers who deliver after their due date do so by the 8th day past-due, and Friday would be day nine. Neither of us was comfortable delaying any longer, since Elijah’s ultrasounds also showed he was a BIG baby boy…and growing bigger. And the bigger he grew in utero, the greater my risks were of needing emergency intervention. Since our goal was to have a natural labor and delivery with no intervention if possible, we wanted to give him a few extra days to make an entrance. But Elijah wasn’t coming on his own, despite a few weeks of false contractions; despite my having had strong Braxton Hicks contractions since week 27; despite our having done everything possible to naturally induce labor. So the first thing we did upon settling into our labor suite was explain to my nurse that we’d still like to keep things as natural as possible. Granted, we were probably going to choose to induce with a Pitocin drip to get contractions rolling. But our hope was that once they became regular, we’d be able to stop the drip and un-tether me, leaving me free to labor naturally. Alas. Things didn’t go according to plan. Around 8:15am, my midwife checked me to find out how progressed I was in labor. The examination threw me into a horrendous contraction during which they lost Elijah’s heart rate on the monitor for more than five minutes. Within 30 seconds of making the call, 15 emergency team members were in my labor suite ready to wheel me off for an emergency cesarean section. Thankfully, they recovered his heartbeat quickly thereafter and we were able to avoid the c-section. But I knew right then, deep in my gut, our course for the day was set. It was completely out of my control. Still, we began the Pitocin drip and between 8:30am and 2:30pm, my contractions grew stronger but remained bearable, and by 2:30pm I’d dilated another two centimeters to four. My doula was on-call, ready to come whenever I transitioned to active labor, but we didn’t want her to waste her entire day in the labor suite with us while nothing happened. And you never know with Pitocin how long it might take for labor to really kick in. By 3:30pm, my water broke and we were off. Contractions became a bit stronger and longer, and both Paul and I were getting more excited. Elijah was on his way! So I called my doula to let her know, and we just waited. Even by 4:15pm, the contractions were strong and getting more painful, but I was still able to talk around them if not through them. 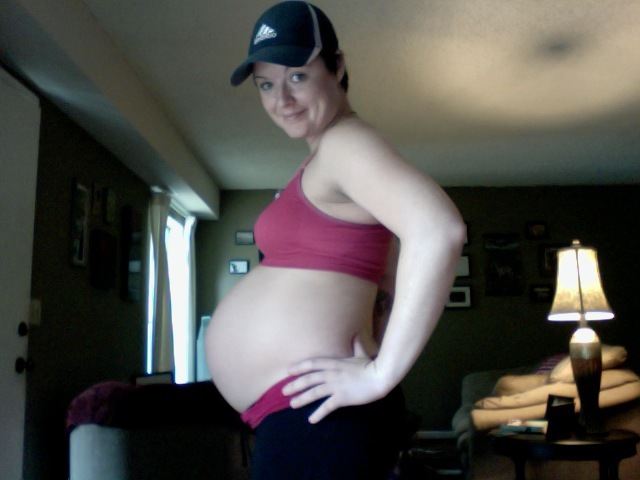 By 4:45pm, when my doula arrived, I was in a state of near-constant contractions. I’m not sure when it happened exactly, but somewhere in that fifteen minute period, the contractions became a tornado. During normal Active labor, contractions will last anywhere from 30 to 90 seconds, and will come every few minutes, allowing for a 60 to 90 second rest between contractions, until the Transition phase, when they last 60 to 90 seconds and come every 2 minutes or so. 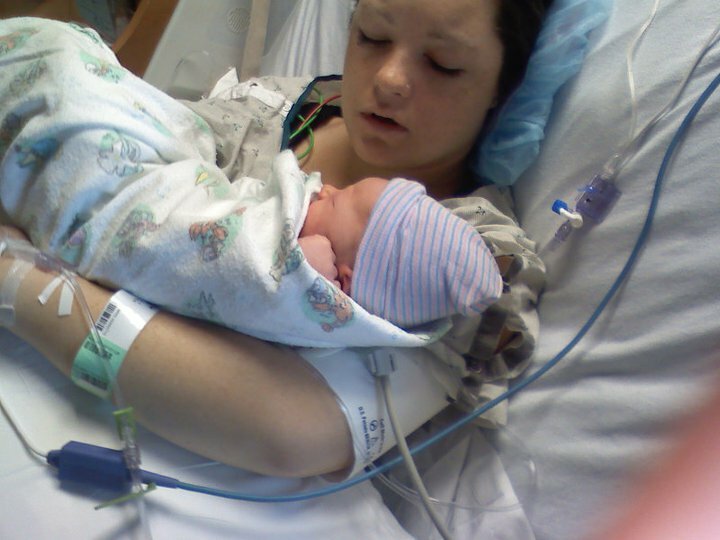 She called in the nurse at that point, who cut the Pitocin in half, and then in half again, but the contractions still wouldn’t stop, slow, or weaken. I was in such pain I couldn’t move or change positions at all. I was frozen. And when I wasn’t frozen, I was convulsing wildly. By 5:15pm, I had been in one constant contraction for over 20 minutes…and they lost Elijah’s heart rate again. This time, they called it a “terminal deceleration” – they knew they wouldn’t be able to recover it this time. 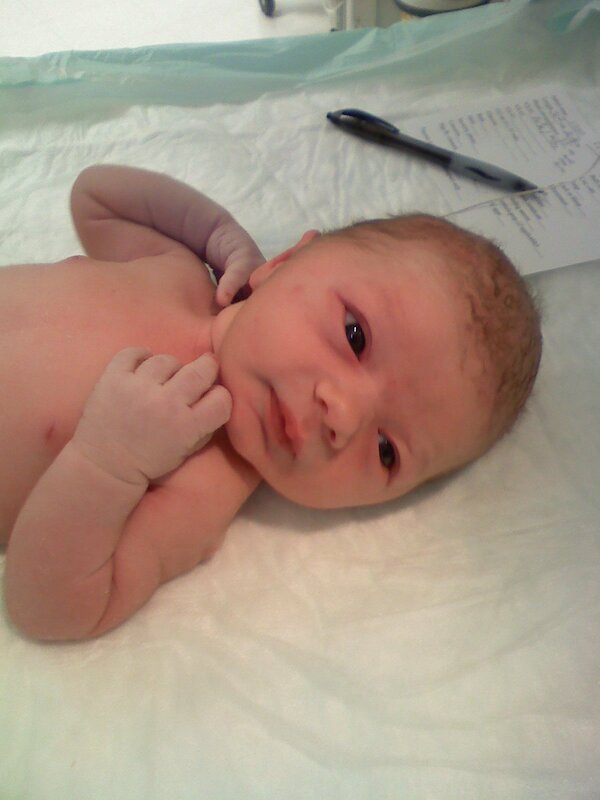 So at 5:17pm, I was off to OR for an emergency c-section, and by 5:24pm my baby boy was born. Turns out, there was a knot in his umbilical cord. Those heavy contractions were squeezing the life out of him and cutting off his oxygen supply. Thankfully, he was born in perfect health. Because I hadn’t gotten an epidural during labor, I was put under general anesthesia for the c-section, so I didn’t wake up until around 7:20pm. I was pretty out of it, but knew two things: I wanted to see and hold my baby, and I wanted to know why there was gushing between my legs. So I asked the nurses. They checked me again, and by 7:30pm, just as they were about to give Eli to me, I was being hauled off to OR again, this time for massive post-partum hemorrhaging due to uterine atony. See, after a baby is born, the uterus naturally continues contracting in order to deliver the placenta and to allow blood to clot. Atony is when the uterus fails to contract. Hence, hemorrhaging. By 9:30pm, my surgeons had re-opened my incision, drained the blood, packed me full of clotting materials, and sown me back up. But it didn’t work. I was still bleeding. By midnight, after close to five hours of surgery and 20 units of blood transfusions, they had to do an emergency hysterectomy to save my life. I woke up in Vanderbilt’s SICU Saturday morning, May 7, to the news that Elijah was perfectly healthy and incredibly strong…and that he would be the only biological son I’ll ever have. 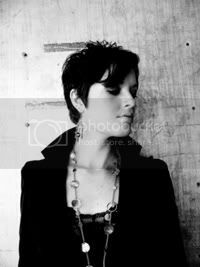 As days have passed, my heart still echoes those sentiments… But I’m also just beginning to realize the loss. But at the same time…Elijah is a miracle. That I’m here to love him, feed him, hold him, cherish him is a miracle. I am equal parts broken by the reality that grows a little bit bigger every day, and grateful that I was given the magnificent gift of having such a perfectly enjoyable pregnancy, that I was able to carry him to term and even run and play and do yoga with him up until the week I delivered, that he was born so healthy despite 14 weeks of Braxton Hicks contractions (who knows how long that knot was in his cord!?!). And praise God (!!!) that I was cared for and saved by some of the absolute best doctors in the world. I don’t know how to describe it all yet. I’m sure it’ll take years to process, a lifetime to grieve, and maybe an eternity to understand even in part. It’s as if this beautiful box encasing the most precious gift was left on my doorstep for me to find. As if I opened it only to be blinded by an exquisite radiance to enjoy for only a short time. It is if that box was promptly and unexpectedly slammed shut, with total finality. I’m not sure if its temporary nature makes it that much sweeter and more miraculous…or if it compounds the bitterness of the end. But I know that I have a son whose name is Elijah, which means “The LORD is my God.” I know that he is and was always meant to be my daily, hourly reminder that my God is not a god of anger, cruelty, passivity or indifference, but The God of compassion and comfort, infinite goodness and everlasting kindness. So I know that while this one dream of family has indeed been stripped from me –from us – for reasons I cannot begin to fathom, God will plant in us new dreams that could not and would not flower had my womb not been taken. 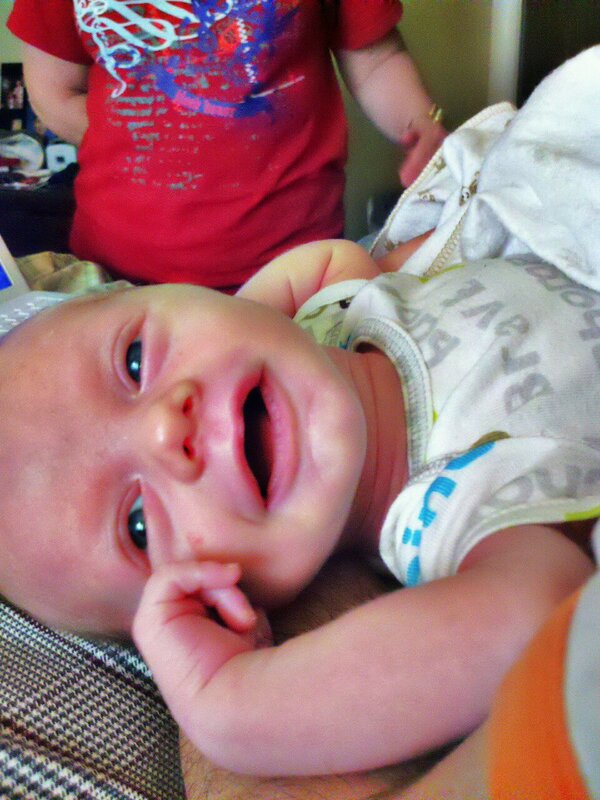 My Elijah, 2 weeks old and giving us big smiles!